The Austin school board Monday night approved a 1.5 percent raise and one-year contract extension for Superintendent Paul Cruz as part of the school leader’s annual evaluation. The changes bring Cruz’s base salary to $310,958 and his contract through Dec. 31, 2020. Keep in mind: Record Setting budgets amidst declining enrollment. Also, keep in mind: The $310k figure only measures 'base salary.' 'Benefits' are on top of that. We'd send an open records request for Cruz's whole compensation package, but we doubt they'd respond before election day. Superintendent salaries tend to be a big issue statewide. But, historically, Austin ISD has been middle of the pack on that front (especially for a large urban district). This latest move, however, puts them among the worse offenders statewide. 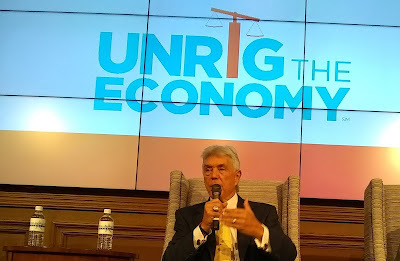 We attended an event with Congressman Roger Williams related to federal tax reform efforts this morning; out of respect to our host, suffice to say we found the Congressman long on platitudes and short on specifics. But this is as good of a time as any to bring up something we've been meaning to discuss: Perverse incentives in the federal tax code subsidize high property taxes, and Texas' congressional delegation appears content to continue this subsidy. The federal tax code contains a loophole that allows individual taxpayers to deduct the cost of their state and local taxes, but only if they itemize their deductions. Unfortunately, middle class taxpayers rarely itemize their deductions. So the federal "state and local" tax loophole subsidizes higher local property taxes. House Republicans' top taxwriter said Saturday he would add a federal tax break for state and local property taxes back into the tax plan set to be unveiled next week, bowing to pressure from members of his conference from blue states with high taxes. Kevin Brady, the chairman of the Ways and Means Committee, said he was restoring a deduction for property taxes "to help taxpayers with local tax burdens." The Trump administration and congressional Republicans had proposed to entirely eliminate the ability of federal taxpayers to deduct state and local taxes in order to pay for lower tax rates. This is absurd. Brady's concession doesn't "help taxpayers with local tax burdens"; it just raises the tax rates paid by middle class taxpayers to subsidize spendaholic local politicians. In one pocket and out the other. Furthermore, this isn't just a blue state problem. Texas currently has the sixth highest property tax burden in the nation. Thus, federal subsidies for spendaholic local politicians hurt middle class Texans just as badly as it hurts middle class taxpayers in any blue state. Obviously, Texans need the Texas legislature to strengthen property tax rollback protections. The legislature should also take a long look at the appraisal system (if not outright elimination of property taxes). 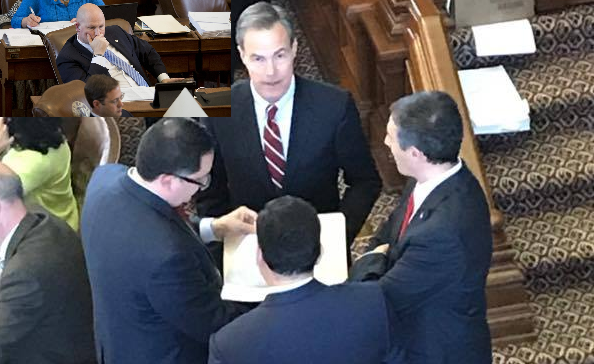 But the fact that the Texas legislature has failed to act within the areas of its jurisdiction doesn't excuse the Texas' congressional delegation if they fail to eliminate subsidies for spendaholic local politicians in the federal tax code. Bottom Line: From Democrats like Steve Adler in Austin and Sylvester Turner in Houston, to Republicans like Betsy Price in Fort Worth and Craig Doyal in Montgomery County, it's not a secret that local politicians across Texas love to spend other people's money. Loopholes in the federal tax code subsidize that spending. It's a shame that Texas' congressional delegation appears more interested in preserving those subsides than in making local officials be honest with their voters. Is Austin ISD engaging in taxpayer funded pro-Bond Electioneering?!? "and with all unrighteous deception among those who perish, because they did not receive the love of the truth, that they might be saved." The Travis County Taxpayers Union on Friday asked for a criminal investigation of Austin school district employees, alleging they have violated the Election Code by using public resources to lobby voters to support a $1.1 billion bond package. The group is asking County Attorney David Escamilla to investigate communications the district sent to parents of students. Early voting is underway; Election Day is Nov. 7. Members of the taxpayer group, including its attorney, Roger Borgelt, held a press conference on Friday morning, then filed a complaint with the Texas Ethics Commission. The group says flyers, stickers, letters and emails sent to parents did not contain a disclaimer required by Texas election law, and that the materials amount to illegal lobbying by the district. Borgelt also alleged that the district has used public funds and resources to advocate for the bond. One of the flyers in question was sent home with Davis Elementary students last month. The flyer included a sentence that inaccurately stated the bond would lead to “no additional taxes.” It had been prepared by a couple of parents and did not go through the approval process, as it should have, before it was sent home with students, according to a school email. Chamber guy spouts cliches about "talent availability." Roger Falk: Use finite resources wisely. Status quo is taxing people out of their homes. Chamber guy scaremongers re: bond failing. Calls Austin ISD's facilities plan "very thoughtful." Austin ISD is the largest land owner in central Texas. 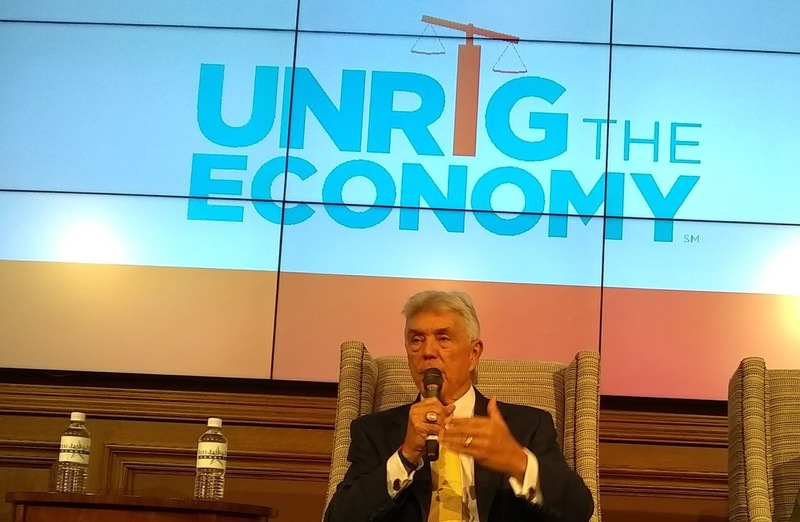 Roger: It doesn't take $1 BILLION to solve overcrowding. Austin ISD spends over $100k per month per school on maintenance. Austin ISD spends more per student than any urban ISD in the state. Pace: Something, something "belt tightening." Note: LOL, see here, here, and here. Roger: Robin Hood's impact is exaggerated. The only difference between the bond and Robin Hood is that you're giving the money to Wall St (via the interest payment) instead of giving it to the State of Texas. Pace makes a pretty racist statement re: El Paso. Pace acts super flustered and defensive. Chamber guy deflects when asked about bond being primarily for contractors. "Buildings don't teach children, people do." Chamber guy makes snotty, condescending, comment. 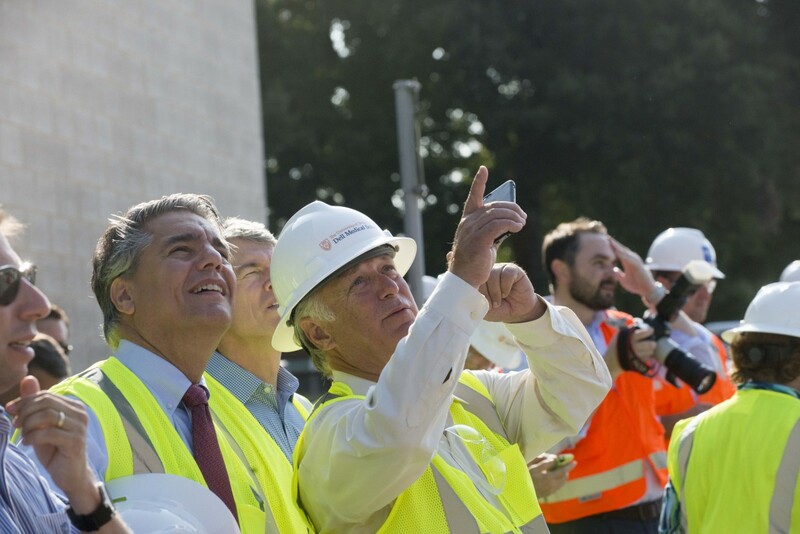 Roger: "Right size the borrowing in this bond." Chamber guy deflects question about debt's impact on local economy by complaining about Robin Hood. Something something, tax hike not a big deal compared to "talent." Pace: Something, something "equality of outcomes." More cliches from Chamber guy. Austin ISD's superintendent just got a raise to over $300k!!! Roger: You could buy every student in Austin ISD an iPAD for $24 million, district is asking for $1 BILLION!!! The Straus people won [in 2016]. But they didn't win by much. And considering how arrogant they already are, I wonder if they're going to get so arrogant that they over-interpret their mandate and doom themselves to something far worse in 2018. Less than two years later, that's exactly what has happened. Two year ago, the name of the game for Team Straus was stealth. Sure, they were terrible then, but they were a lot less in your face about it. That changed in 2017. This past March, following the minimum wage fiasco, we had a conversation with the leaders of a few statewide grassroots organizations. 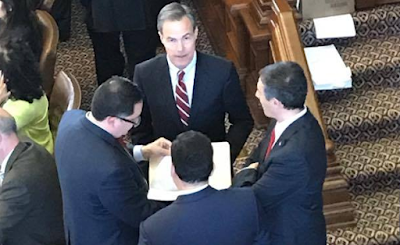 We all remarked about how Team Straus' was being a lot more open about everything they had historically tried to keep quiet. That continued throughout both the regular (and especially) the special session. Botching the Sunset bill -- There wouldn't have even been a special session in the first place if Team Straus hadn't failed to pass a major bill related to continuity in state government. Straus' failure necessitated the special session. And it was all because they got cute and tried to pass it right before a deadline. 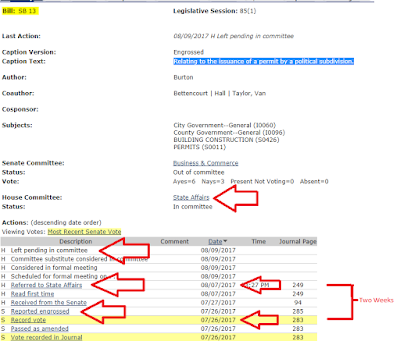 Every absurd spending proposal during the Special -- During the special session, the House proposed one spend-a-thon bill after the other. There was "school finance," there was the Medicaid fiasco; essentially, there was every single bill referred to Appropriations. They weren't hiding their desire to spend to the hilt. Killing Property Tax Reform -- NEWSFLASH: Property taxes are a general public issue. Texans all over the state are getting killed by property taxes. 77% of Texans (including 63% of Democrats) support statewide property tax caps. By killing property tax reform, Team Straus moved beyond alienating activists to a issue average voters care about a lot. And those are just a few examples off the top of our head before we get into the regular lawlessness. If we wanted to, we could probably list 30 incidents from this past session that we're either designed to alienate voters or completely lawless. The ironic thing is that the same thing happened to Barack Obama. In 2012, following his re-election, Obama got really arrogant and over-interpreted mandate. In 2016, Obama's actions during his second term led to a far worse outcome for his party than would have happened had he correctly interpreted his 2012 mandate. Bottom Line: Arrogance always catches up with you; sometimes it just takes awhile. "I press toward the goal for the prize of the upward call of God in Christ Jesus." Which begs the next question: With Joe Straus out of the picture...why wait for 2019?!? School Finance Reform THAT RE-PURPOSES EXISTING DOLLARS FROM THE BUREAUCRACY INTO THE CLASSROOM. Eliminating Municipal "Texting while driving" revenue collection schemes. Eliminating Municipal subsidies for partisan political activity by public employees. Eliminating municipal subsidies for abortionists. Eliminating municipal mandates related to bathroom policies for private entities; creating uniform statewide standards for political subdivisions. Eliminating Municipal Prohibitions on Short Term Rentals. Restricting or Eliminating Municipal Land Use Regulations. Restricting or Eliminating tuition increases at Public Universities. Protections for Free Speech on Public University Campuses. Eliminating Municipal Red Light Cameras. Right to use cash legislation. Name your issue here: "__________________________." Again, we ask: Why wait until 2019?!? Consider the whole "actions speak louder than words" front: Rather than spending the next year and a half having a speakers race filled with words, why not bring them back in two weeks and give them a chance to act?!? In this climate, a platform for action will be very revealing. Obviously, Greg Abbott is the only one who can call a special session. 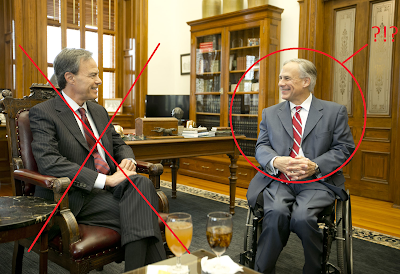 Equally obvious, Greg Abbott wasn't exactly treated with respect during this summer's special session. It'll be interesting to see whether Greg Abbott seizes this opportunity. Bottom Line: Either we pass several more grassroots priorities or we get several more campaign issues...what's there to lose?!? Teacher Compensation: Study current local, state, and/or national compensation strategies for classroom teachers and make recommendations to elevate the teaching profession as well as comprehensive policies to attract, retain, and reward teachers. ie. Diverting existing funds from the bureaucracy into the classroom. 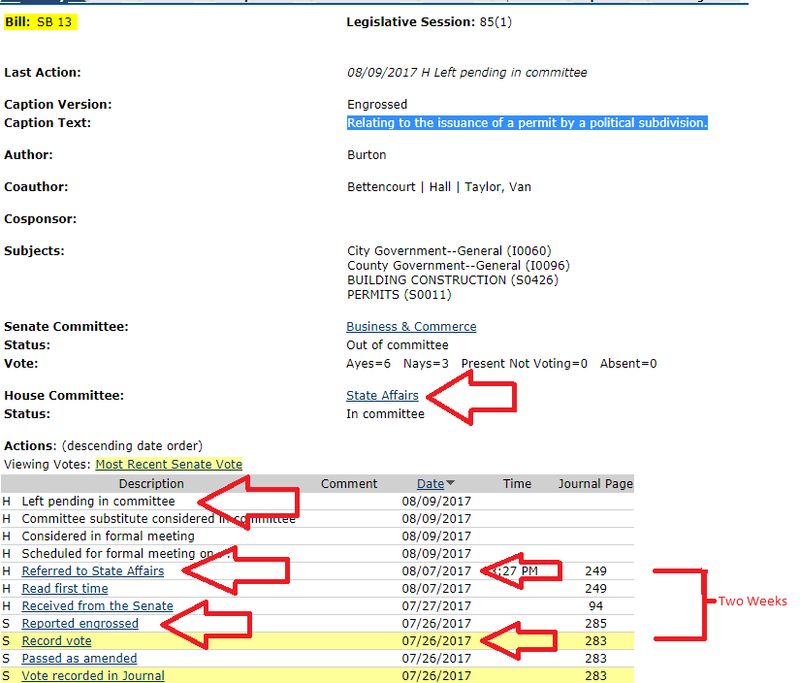 Note: The Senate passed a decent bill on this subject during the special session (that got gutted and rewritten in the House), but it's probably worth studying further to see if there's a better way to accomplish the goal. System/Campus Expansion: Consider what role the state should have in overseeing the approval and development of new higher education locations into geographical areas already served by existing institutions. Develop a long-term statewide strategy for authorizing new locations and programs which includes a plan to ensure adequate support for expansion. Explore where there are underserved areas of the state and what type of programs would best serve the population to fill regional workforce needs. Note: LOL, take that UT Houston expansion. Attorney General Jurisdiction: Examine the Attorney General's jurisdiction on issues of alleged violations of state laws regarding abortion and multi-jurisdictional human trafficking cases. Make recommendations to ensure uniform enforcement across the state. 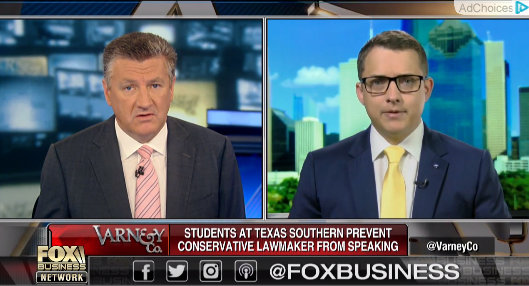 Campus Free Speech: Ascertain any restrictions on Freedom of Speech rights that Texas students face in expressing their views on campus along with freedoms of the press, religion, and assembly. Recommend policy changes that protect First Amendment rights and enhance the free speech environment on campus. Religious Liberty: Monitor the implementation of legislation that protects citizens' religious freedoms, including Senate Bill 24 (sermon safeguard) and House Bill 555 (religious liberty of county clerks), and make recommendations for any legislation needed to ensure that citizens' religious freedoms are not eroded by local ordinances or state or federal law. Free Market Electricity: Examine the competitive nature of the Texas retail electric system and what government competitive intrusions in the free energy markets may have in distorting those markets. Review the impact of competitive versus noncompetitive retail electricity markets across the state in terms of price and reliability. Consider the projected impact of establishing competitive electric retail markets statewide. Licensing and Fees: Review licensing requirements and fees imposed on entities within the committee's jurisdiction. Make recommendations for state licenses and fees that should be reduced, repealed or transitioned to private-sector enforcement. One note on higher ed: We would have liked to see a charge related to tuition hikes as well. That being said, the Senate passed a good solution on tuition last session. The issue is getting it out of the House. Read the full second round list here; learn more about the first round here. Contrast Dan Patrick's priorities with Joe Straus' priorities here. Study the Texas olive and olive oil industry. Provide suggestions to improve, promote, and standardize the industry. Examine current policy related to the industry and examine factors such as research, marketing, labeling, standards, data collection, and the necessity of creating a commodity board or similar type of organization. Note: We wonder which lobbyist is getting paid on this one; also, which major industry player will benefit from this act of protectionism. Study the effects of declining migratory species, such as the monarch butterfly, as well as native and domesticated bee populations on agricultural production and its economic impact on the state. Identify possible causes of the population changes and monitor national trends. Make recommendations on how to improve and promote monarch butterfly and bee populations and habitats in the state. Note: Because, clearly, Texas' state government is capable of "improv[ing] and promot[ing] monarch butterfly and bee populations. Examine the use of federal funds by state agencies responding to the effects of Hurricane Harvey and identify opportunities to maximize the use of federal funds to reduce the impact of future natural disasters. Also, identify the need for state resources to respond to Harvey relief and recovery efforts, as well as opportunities for state investment in infrastructure projects that will reduce the impact of future natural disasters. Note: Spend, spend, spend....all while hitting up the Feds for even more. 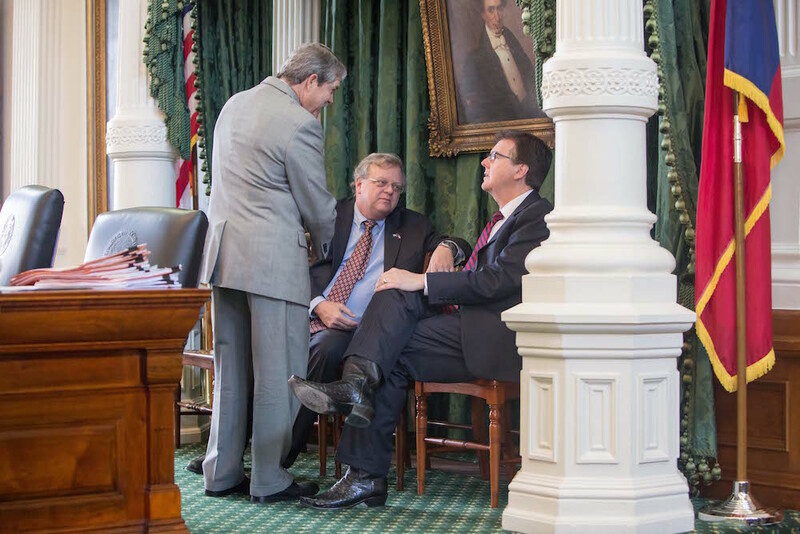 Straus' also gives the Appropriations Committee roughly a dozen charges to review the operations of state agencies. In theory, this could be either a useful exercise or a smokescreen for another spend-a-thon. We'll let you guess which one we think will happen. Evaluate whether counties have the necessary ordinance-making and enforcement authority to deal with flood risk in unincorporated rural and suburban areas of Texas. Additionally, examine whether counties have adequate resources and authority to ensure that new development in unincorporated areas is not susceptible to flooding. Study the feasibility of establishing and mobilizing a volunteer contingency of private boat owners through the boat registration and license database administered by the Texas Parks and Wildlife Department to assist first responders in search and rescue efforts in natural disasters like Hurricane Harvey. Note: If this already happened during Hurricane Harvey without the state government being involved, why does the state government need to get involved at this point?!? Evaluate the ongoing and long-term workforce needs of the state’s businesses and industries. Determine whether state resources are adequate to address shortages and assist with closing existing or future gaps in workforce readiness and skills to ensure the continued economic security and success of the state. 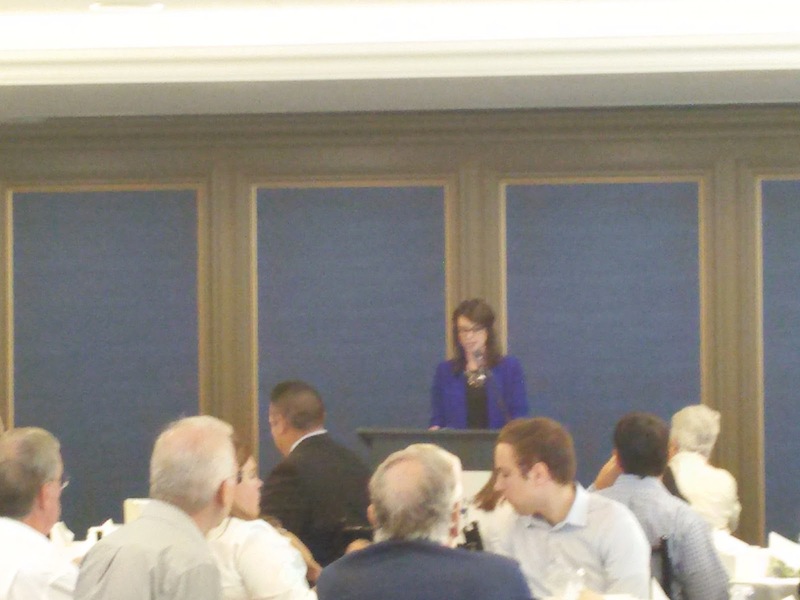 Review Texas’ open meeting laws and related government decision-making policies. Determine if the formal processes prevented the efficient delivery of assistance during Hurricane Harvey. Make recommendations on maintaining the current standards of accountability without limiting government-provided aid during disaster events. Note: That's a loophole you could drive a truck through. Determine, to the extent possible, the scope of financial losses to 2- and 4-year institutions, including facilities, that resulted from Hurricane Harvey. Recommend possible state actions to mitigate any negative impact on institutions and ensure governance structures and parameters allow for effective responses. Review the educational opportunities offered to students displaced by Harvey throughout the state. Recommend any changes that could improve the process and what additional services might be needed for these displaced students. Study aggressive driving in Texas and review the causes and current mitigation efforts. Make recommendations for legislative action. Study the use of appraisal processes under property insurance policies in Texas, including the effects of court decisions on the use of these processes and the impact of their use on insurers and policyholders. Review local and state zoning and land use regulations. Determine if current rules provide an adequate balance of disaster preparedness and deference to private property rights. Examine Texas’ eminent domain statutes to ensure a balance between necessary infrastructure growth and fair compensation for landowners. Review available public information and data relating to the compensation provided to private property owners. Make recommendations to improve the accountability, as well as successful development, of the entities granted eminent domain authority. Note: Nice property rights you've got there, be a shame if anything happened to them. In fairness to Straus, he gives the Licencing and Administrative procedures committee a couple of charges that might be helpful. Examine the potential value, the necessary elements, and the implications of a broad-based information and awareness campaign regarding water issues in Texas. Consider input from water stakeholders, educators, and communications experts. Evaluate the governance structures, including investment oversight, of the Employee Retirement System (ERS), Teacher Retirement System (TRS), Texas Municipal Retirement System, Texas County and District Retirement System, and Texas Emergency Services Retirement System. Identify best practices and make recommendations to strengthen oversight within the systems. Note: In theory this could either be useful or a spend-a-thon; we'll let you guess which will happen. Determine, to the extent possible, the scope of financial losses, including facilities, that resulted from Hurricane Harvey. Recommend possible state actions, such as changes to student counts or property valuation, to mitigate any negative impact on districts and ensure governance structures and parameters allow for effective responses. Review current state mechanisms for identifying and rewarding educators through state-level strategies. Examine how providing additional funding to enhance compensation in districts facing a shortage of experienced, highly rated teachers would affect retention and teacher quality, in addition to whether it would encourage teachers to provide additional services through extracurricular activities, tutoring, and mentoring. Note: Didn't the Governor propose doing this during the special session?!? Examine programs in public schools that have proven results meeting the needs of and improving student achievement for students with disabilities, with an emphasis on programs specializing in autism, dysgraphia, and dyslexia. Recommend ways to support and scale innovative programs for these students, including providing supplemental services, or incentivizing public-private partnerships or inter district and charter school collaborations. Monitor the implementation and funding for the pilot programs authorized in H.B. 21 (85R) and review the Texas Education Agency's compliance with S.B. 160 (85R), which prohibits special education student caps. Review the charter school system in Texas. Determine if changes are needed in the granting, renewal, or revocation of charter schools, including the timeline for expansions and notification of expansions to surrounding districts. Review the educational outcomes of students in charter schools compared to those in traditional schools, and to what extent schools participate in the alternative accountability system. Monitor the implementation of facilities funding for charter schools. Consider differences in state funding for charter schools compared to their surrounding districts and the impact on the state budget. Consider admissions policies for charters, including 33 appropriate data collection to assess demand for additional charter enrollment, compliance with access by students with disabilities and the effect of exclusions of students with criminal or disciplinary histories. Consider differences in charter and district contributions to the Teacher Retirement System on behalf of their employees and make appropriate recommendations to support the retirement benefits of all public school teachers. Note: Straus imitates Bill DeBlasio. Study treatment of traumatic brain injury, Alzheimer's, and dementia, and recommend opportunities for advancing treatment and cures. Note: Parental rights be damned. Study the efficacy of existing transportation finance mechanisms from state, regional, and local perspectives. Identify opportunities to improve existing transportation finance mechanisms and investigate the feasibility of developing new ones. Monitor and evaluate the need for affordable housing in urban and rural areas across the State of Texas. Examine whether existing housing programs are adequately addressing the needs for affordable housing. Identify prospective and innovative ideas and solutions to address affordable housing needs in Texas. Examine local government oversight of abandoned and substandard buildings, including buildings of historical significance. Identify ways to best address these issues in an efficient and effective manner. Read the full list of Interim Charges here. Why doesn’t Warren get 25-30 carries a game? That size punishes a defense. Because we were coming off a win, we didn't originally give it a lot of thought. But following two more losses, the question does beg to be asked: Why isn't Chris Warren getting 25-30 carries per game?!? That size does punish a defense. The Longhorns squandered what Herman called a “monumental effort by our defense” due to the offense tallying only 283 total yards through four regulation quarters and an overtime period. Texas averaged only 4.1 yards per play, was doubled-up in first downs compared to the Cowboys (26-13), averaged just 1.3 yards per rush as a team (33 carries, 42 net yards), and moved the sticks on third down at a 3-for-17 clip. That's pretty brutal; it's made all the more brutal by the fact that the offense performed that abysmally while Warren only got 12 carries. 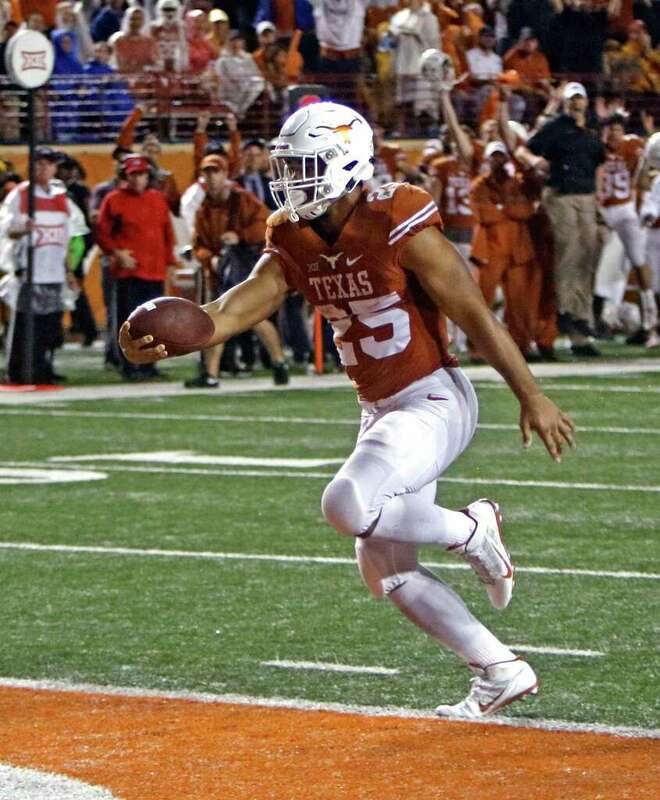 When we originally planned this post, we were going to write about how the coaching staff's lack of confidence in the running game was making Sam Ehlinger very predictable. But now Ehlinger has a concussion and is out indefinitely. Unfortunately, Ehlinger's concussion is a the predictable consequence of the coaching staff's refusal to give Warren the ball more often. He hasn't had more than 16 carries in a game. It doesn't take a genius to see how this works: Warren gets a bunch more carries between the tackles. The defenses respond by loading up the middle. This creates room on the outside for Colin Johnson, Jerrod Heard, Dorian Leonard, Armanti Foreman, Reggie Hemphill-Mapps (assuming he's healthy) and John Burt to bust big plays. But until the offense establishes an interior running game, those receivers will consistently receive double coverage. The biggest shame is that the defense is starting to emerge as a genuinely elite unit. Holding an Oklahoma State offense led by a genuine Heisman contender at Quarterback to 10 points is an impressive accomplishment. But it'll all remain for naught until the offense gets in gear. And the obvious step 1 for getting the offense in gear is a power running game, for which Chris Warren is the obvious candidate to lead. Bottom Line: Tom Herman says he has confidence in the offensive coaching staff, but if they can't figure out that 6-4, 250 lbs, running backs wear out defenses then they deserve to be fired. Alamo Historical Site Renovation: Monitor the expenditures of state funds appropriated to the General Land Office for the preservation, maintenance, and operation of the Alamo historical site. Ensure the funds are spent to emphasize the architectural design and the historical impact the battle had on the development of Texas as a nation and as a state. Property Tax on Business Personal Property: Evaluate the property tax as it applies to business personal property and the current $500 exemption. Quantify the economic effect of taxing business personal property and determine whether the tax places Texas at a competitive disadvantage relative to other states. Evaluate the burden on taxpayers and local governments of administering the property tax on business personal property and determine whether the current $500 exemption should be increased. Tax Rate and Appraisal Reform: Evaluate the effective tax rate and rollback tax rate calculations and identify modifications that would yield a rollback process that is meaningful for local governments and for citizens. Evaluate whether the current rollback election trigger serves modern objectives. Lowering Property Tax Burden: Study the feasibility of replacing the property tax with sales tax or other consumption tax revenue, with emphasis on school maintenance and operations tax. Evaluate whether some local property taxes lend themselves to a swap more than others. Quantify the short-term and long-term economic effects of a tax swap. Identify a target property tax rate and evaluate how to reach that target with a consumption tax swap. Hotel Occupancy Taxes: Study and make recommendations regarding the collection and use of hotel occupancy taxes to increase transparency in the imposition, rate, and use of such taxes. Housing Affordability: Examine issues that impact housing affordability, including the effect of local government taxes, fees, and mandates. Evaluate the cost of purchasing a single-family residence in different parts of the state, factoring in the impact of local rules and regulations, to identify matters of policy with the greatest influence, and identify ways to increase transparency and awareness prior to the adoption of costly local ordinances or orders. Austin ISD bond: Polling locations tipping scales AGAINST East Side?!? Austin, TX -- The Travis County Taxpayers Union (TCTU) has analyzed the Austin ISD polling locations for the AISD bond election and discovered some startling disparity regarding poll accessibility and hours of operation in comparing East and West Austin. In total, West Austin has 2551 hours of available in-district polls, whereas East Austin has only 794 hours of available in-district polls, making West Austin at least three times more accessible than East Austin. "This is just another example of troubling behavior by the school district to mislead the public, and now they're engaging in voter suppression of East Austin residents," says Roger Falk of TCTU. "East Austin voters ought to be outraged." The trend holds true when analyzing Early Voting polls, mobile polls, Election Day polls, or an aggregate of all three types. Mobile polling locations are the most unfair of the three types, with nearly eight times more hours available in West Austin than East Austin (199 hours and 26 hours, respectively). Most East Austin mobile polling locations are only open for a mere two hours per day, whereas West Austin mobile polling locations are open for a much longer daily average timeframe. "It's already more difficult for middle and working class voters in East Austin to access polls and cast their votes. We should be giving more time for democratic participation in East Austin - not less." 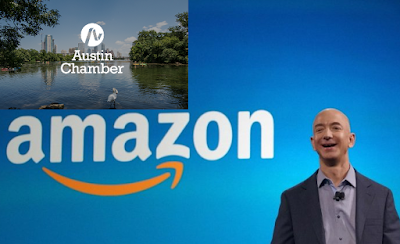 On whose behalf, pray tell, did the Chamber submit "Austin's" Amazon bid?!? Austin Texas Region Bid for @amazon HQ2 submitted. We're sorry, but it is confidential. The Chamber of Commerce is submitting an a "Region" bid for the Amazon project, but the public isn't allowed to see any details?!? To this point, we've been relatively agnostic on Amazon. We feel similarly to the way we feel as a Yankee fan about signing Bryce Harper. It might be a mutually beneficial partnership, but only up to a certain price tag. Instead, we're given a top-secret "process" where the public isn't even permitted to know the price tag; if things don't change soon, this will rapidly become the hellest of no's. What political subdivisions are involved in this "region" bid?!? eg. City of Austin, Travis County, Williamson County, Hays County, Various other ISD's and Cities. Are the provisions of this bid legally binding on the afore mentioned political subdivisions?!? Was any sort of preferential tax treatment offered?!? eg. Tax abatements, tax-increment financing, "Chapter 313" agreements. Is the State of Texas involved in this bid?!? Will the public be allowed to see the terms of this bid before the relevant political subdivisions commit?!? What happens to this "region" bid if some of the political subdivisions want to move forward while others don't?!? Are any sort of wage/benefit mandates contained in this bid?!? Like we said, that's off the top of our head; we're sure we could come up with another 50 to 100 questions if we thought about it for awhile. This secretive process needs to stop. Say what you will about some of the stranger proposals other cities have made, at least they're being open with their citizens and taxpayers. But, apparently, Austin's "civic leaders" think they can write a proposal in secret and who cares what the public thinks. Bottom Line: Six months ago, this website helped lead a coalition that defeated Warren Buffett; if things don't change, soon, we can do the same with Jeff Bezos. "In his opening, Bernie invoked Robin Hood." "Robin Hood was 'robbing' the tax collectors, who were collecting too much [sic] taxes from the working men and women, and taking it for the rich." "In Bernie's analogy, it is the Democrats who are King John and the Sheriff of Nottingham." "Robin Hood is saying: 'Tax collectors, stop hammering the people who are struggling, who are laboring in the fields, who are working; stop taking it to the castle, to give out to your buddies'." "The Democrats love corporate welfare." "When you have Washington giving out goodies, the big guys do great; it's the little people who hurt." "Bernie didn't disagree with what I said...."
Do justice to the afflicted and needy." Three Travis County taxpayers filed a lawsuit this morning against the Travis County Healthcare District, dba Central Heath, and its president and CEO Mike Geeslin, complaining that property tax funds are being used for purposes not authorized by the Texas Constitution and state statutes. If successful the litigation’s biggest impact would be to force Central Health, through its nonprofit Community Care Collaborative, to stop giving $35 million a year to the University of Texas at Austin Dell Medical School. That would make vastly more funds available to provide direct healthcare services available for indigent, uninsured, and underinsured residents of Travis County. Under an Affiliation Agreement, that yearly allocation has already yielded $105 million for the medical school through FY 2017 and the $35 million annual payments are scheduled continue in perpetuity. Stopping that flow of money would undermine the financial foundation upon which the medical school was built. In June 2012 the UT Board of Regents committed $25 million a year to operate the medical school and $5 million a year for eight years to equip laboratories, but made those funds contingent upon the community providing $35 million a year. Otherwise there would be no medical school. Is a wicked ruler over poor people." Austin, TX -- The Travis County Taxpayer’s Union (TCTU) has analyzed and released their findings regarding the 30-day financial disclosures of the Austin ISD pro-bond campaign, and the results are alarming. The issuance of $1,050,984,000 school building bonds for the construction, acquisition, rehabilitation, renovation, expansion, improvement, modernization and equipment of school buildings in the district, including (i) technology systems and equipment, (ii) safety and security systems and equipment, (iii) improvements to address overcrowding and safety concerns, (iv) improvements for students with special needs, and (v) reinvention programs for twenty-first century learning; the purchase of the necessary sites for school buildings; and the purchase of new school buses, and the levy, pledge, assessment and collection of ad valorem taxes on all taxable property in the district, sufficient, without limit as to rate or amount, to pay the principal of and interest on the bonds and the costs of credit agreements executed in connection with the bonds. During the appearance, Briscoe discusses last week's incident at Texas Southern. Readers are welcome to watch it themselves. But we're primarily interested in the fact this happened in the first place. And, all of a sudden, here's Fox News covering shenanigans on a public university campus in Texas. The only thing about which we were wrong is that the incident that produced Fox News' interest didn't occur at UT-Austin. Instead, it was the failure of UT-Austin to address the incidents on their own campus three weeks ago that allowed this to occur at Texas Southern. And, eventually, Fox News is going to figure out that (at least in Texas) public universities fall within the jurisdiction of the Governor's office. And we suspect you'll get whiplash at how quickly Greg Abbott acts once that happens. Whiplash. Bottom Line: This morning's appearance was a necessary step in the process. #TROXROX: Austin Chronicle throws tantrum after Troxclair qualifies for "Best of Austin"
"rejoicing in hope, patient in tribulation, continuing steadfastly in prayer;"
Though personal responsibility and resiliency are hallmarks of TPPF's brand, and Troxclair herself said several times that she wanted to be positive, it appeared the council member couldn't help herself: With its taxes, bag bans, composting, and burdensome water restrictions, Austin has quickly become even more of a liberal hellscape than it had been in years past. "Until last year you weren't even allowed to wash your own car in your own driveway," she lamented. "I mean, what is more American than spending a Saturday afternoon washing your own car in your own driveway?" But it gets worse. Council meetings are too frequent and too long, she said. The makeup of Council doesn't match the overall political views of the city at-large, which she described as roughly 30% Republican (in accordance with 2016 voting totals). Since the last election, when Troxclair lost the comradery of Don Zimmer­man and Sheri Gallo, she can no longer get an easy second on her motions. Zimmerman, in the audience for Troxclair's speech, had spent the hour before her keynote regaling the foundation's crowd with tales of his bureaucrat-busting days. Now that Zimmerman and Gallo are gone, Council is an even less friendly place for Trox­clair. "A lot of times I feel like I'm going to Council to bang my head against a wall," she admitted. "I get a lot of headaches." But the CM didn't hint at any newfound strategy moving forward. 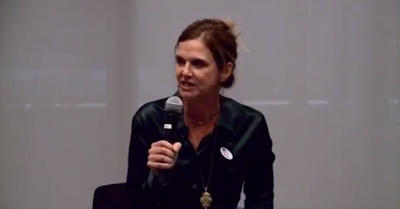 And she defended her decision to testify at the Capitol earlier this year against several of the city's positions, telling an appreciative crowd, "I'm sorry, I did not remember giving up my right to free speech when I ran for office." And yes, we are aware of the irony that we're doing more to promote Ellen's candidacy this year than we did to promote our own when we were nominated last year. Read the full chronicle piece on the speech here, read our write-up of the speech here, VOTE FOR ELLEN (and Caleb and the Monitor) here. Bottom Line: Austin Chronicle...u mad bro?! ?